When looking to upgrade their golf clubs, most players will first consider putters, drivers or irons. ​Think about it: most of your golf course chats often involve talking about drivers and putters more than anything else. Wedges are often the last to be considered. However, that shouldn't be the case: a number of studies have shown that almost 25% of shots made by pros came from wedges, and legends like Ben Hogan even put wedges as his top 3 most important clubs. In this article, we will give our recommendations for the best golf sand wedge currently available in the market. The Cleveland CBX offers the most versatility out of the three products we have reviewed. A cavity back wedge is still a rarity even today, when most golfers already adopted cavity back irons. 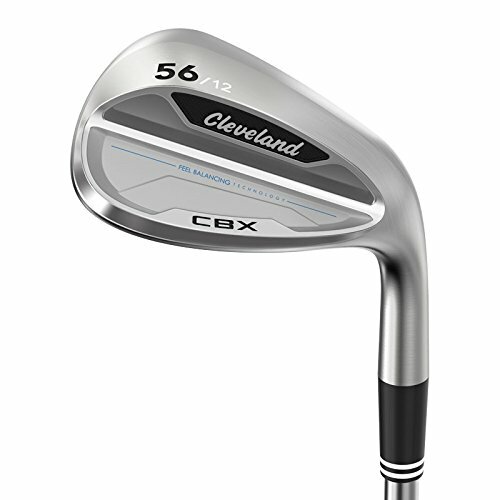 So, the Cleveland CBX offers a smoother transition throughout the set for those already using cavity back irons. Excellent forgiveness, balanced feel, and decent playability. Solid in everything: contact, feel, spin. For that reason, it is extremely important to be able to get your hands on the very best golf wedges. And the golf industry knows that: they come out regularly with brand new golf wedges for you to take to the golf course. Our focus of discussion today will be the sand wedge. The sand wedge is especially useful for shots on sand bunkers and traps. In modern golf, sand wedges are more versatile than ever, and many pros are now using them for almost any shots from fairway to the greens. What are the different types of golf wedges? How many golf wedges should I carry? When do I need to use a sand wedge? 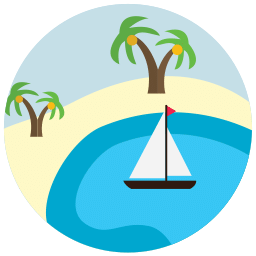 What are the advantages of using sand wedges over other wedges? What characteristics should I pay attention to when I buy sand wedges? 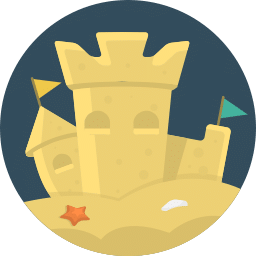 What is the usual loft of sand wedges? How far can I expect to swing with a sand wedge? The most common wedge, mainly because it's often included in an iron set. Typically, the loft angle of a pitching wedge is around 44 to 48 degrees and the bounce angle is around 2 to 5 degrees. Primarily, the pitching wedges are used for longer chip shots, including long shots into the greens. In modern golf, pitching wedges tend to have lower loft angles, which are intended to complement the current trend for longer-hitting irons. To choose your pitching wedge, make sure that the loft angle is not too far apart from your irons. The topic of our discussion today. When it was first invented, the sand wedge was designed for shots on the sand bunkers, hence the name. Characterized by a heavier and wider sole design, and high bounce and loft angle. Typically sand wedges have a loft angle of around 54 to 58 degrees and bounce angle of 10 to 16 degrees. For quite a long time in golf history, the sand wedge is the highest lofted of all club and is the bread and butter club for chips and bunker shots. Nowadays, however, they are more versatile, partly because of the introduction of the lob wedges. As the name may suggest, the gap wedge is designed to fill the gap between the pitching wedge and the sand wedge. Sometimes also called utility wedge (UW), or attack wedge (AQ). 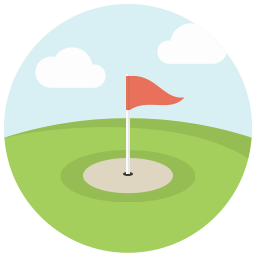 Being a gap wedge, you can expect that the loft angle is above that of the pitching wedge, but below that of the sand wedge, thus, around 50 to 53 degrees. 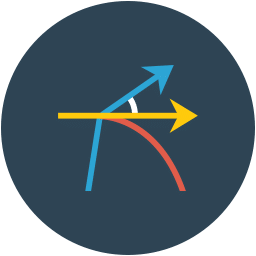 The same thing will be found regarding the bounce angle, around 5 to 10 degrees, although some specialty gap wedges can have up to 12-degrees of bounce. Commonly used to make a fuller shot to bridge a distance gap, but sometimes can be used to add more variety for pitches around the green. Typically, you won't use it for longer chips. A relatively new wedge design, and now is the highest both in loft and bounce angle. Typically, the loft angle is around 60 to 64 degrees, which is the highest among all wedges today. On the other hand, the bounce angle on the lob wedges is the lowest, sometimes as low as 0 degrees, to enhance their precision. Those features will produce more flight trajectory and spin, making the lob wedges ideal for chip shots, bunker shots, and flop shots. 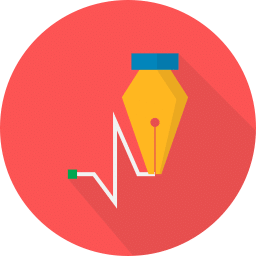 The answer to this question will vary depending on your current skill level, and many other factors. Considering you can only carry a maximum of 14 different clubs, will carrying all 4 wedges be worth it? At the very least, most players will carry a pitching wedge, which is often included when they buy an iron set. The gap wedges are increasingly important for modern golf plays and should be considered as your second wedge. How about the other two, and especially our discussion focus today, the sand wedge? Let's look at how the pros play: Rory McIlroy, Patrick Reed, Bryson DeChambeau, and Paul Casey are carrying all four wedges. On the other hand, there are those who are carrying only three, such as Jordan Spieth, Dustin Johnson, and Jason Day. Here at Golf Influence, we thrive on only reviewing the best equipment - that is why we will show you the best wedges currently in the market. 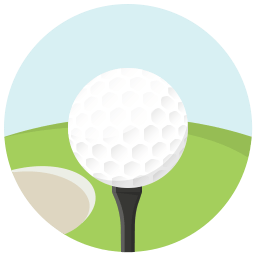 The sand wedge, however, is a very versatile club, and you can use it anywhere from fairway to the green, as long the ball is not sitting on a hard ground or other firm surfaces. Look at some of the best sand wedge applications on the greenside bunker on this video below. And some best of the best shots from the fairway bunkers here. The angled sole (the bounce angle) allows the club to bounce off soft sand, thick grass, or muddy ground, allowing it to be ideal for bunker shots or similar shots to bring back the ball to the greens. T﻿he overall design makes the sand wedge more versatile than the other wedges. They are also shorter compared to other clubs, which in turn will make it easier for golfers to put more spin. First things first, answering this question will depend on the condition of the golf course you frequent. 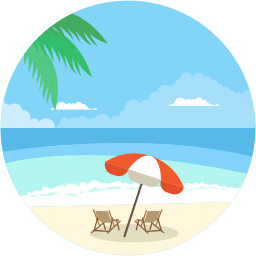 If you regularly play with more shallow sand conditions, then you will generally need a shallower sole, moderate bounce angle of around 7 to 11 degrees, and a swing weight of around D-5 to D-8. This type will also work well from the fairway green. On the other hand, if you regularly play in grainy yet loose sands (think of a gravel), you will need more bounce angle of 12 to 15 degrees, wider sole and generally more swing weight of D-5 to E-0. Lastly, if you play in powdery sands with a lot of buried traps and lies, you will need even more bounce angle of 16-20 degrees, even wider sole, and heavier weight of D-7 to E-2. 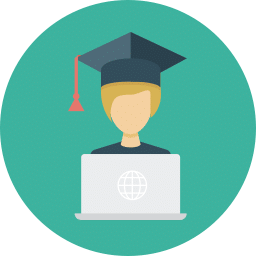 What if you change courses frequently? The well-rounded choice will be a medium to wide sole, a moderate bounce of around 12 to 15 degrees, and D-5 to E-0 swing weight. Typically the usual loft of sand wedges is around 54 to 58 degrees, although some can go up to 60 degrees and up. Choosing your loft angle will depend on the loft of other wedges and irons, try to not make it too far to each other. Most skilled players with decent swing speed can achieve 80-110 yards of distance. Of course, it will be dependent on your swing speed. Also, the sand wedge will naturally produce more spin, which in turn may suppress distance when you cannot control the spin properly. Loft angle will, of course, affect the distance potential. Refer to this table here. The higher your loft, generally the lower the potential distance will be, in exchange for easier lobs and chips to get out from traps and bunkers. This short video will help you understand how to swing the sand wedge properly. The Cleveland Golf Men's CBX is a unique addition to the wedge market, simply due to its cavity-back design. More and more people are now using cavity back irons, which, according to Cleveland, accounts for 84% of golfers. It is hardly a surprise: cavity back irons offer more forgiveness, hence more consistency to your performance. In the past, a cavity back design sacrifices feel, and sound, which are muted due to the hollow space, and to some extent, playability due to the difference in center of gravity. Yet, thanks to the advancements in technology, the gap is much closer. The Cleveland CBX is especially designed to pair with cavity back irons, giving you a more seamless transition between your irons and wedges. Unlike Cleveland’s previous cavity back wedges, like the RTX-3 CB, which are based on the bladed models, the CBX is designed from the get-go as a cavity back. Thanks to that approach, the Cleveland CBX features an increased Moment of Inertia (MOI), with the overall weight of the head is focused around the back. Since the head is designed as a cavity back from the start, it saves 76 grams of mass. The sole is also wider than usual. 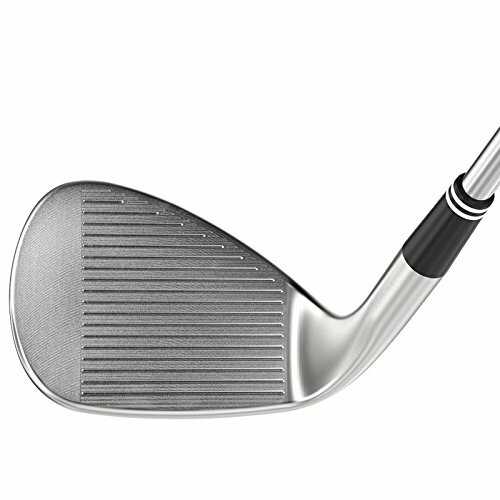 Compared to Cleveland’s most recent Tour wedge, the RTX 3, the toe area is 9mm wider while the center is 5mm wider. This extra width obviously means you have a bigger sweet spot. 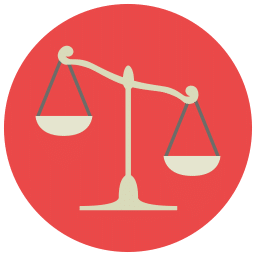 Commonly, there are two main downsides with a wide sole: balance and versatility, but those issues are addressed on the CBX. The wide toe squares the face during impact.,while the center width allows a balanced feel. It is also quite versatile and is actually very decent in short shots. Most cavity back designs shift the center of gravity towards the heel. This usually results in a compromise of feel when you are hitting from the center. Cleveland understood this, and so they moved the center of gravity to the middle of the head, only around 2 mm from the center of the face. Cleveland call this the Feel Balancing Technology, moving the sweet spot much closer than similar wedges to where you hit the ball. Not only this feature improves feel, but you also get a better distance control and tighter dispersion. 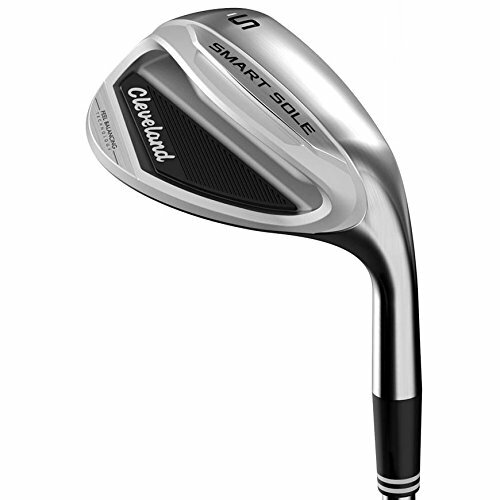 The Cleveland CBX features Cleveland’s highly regarded ROTEX 3 face, which is designed to give more spin. Basically, Cleveland added four laser-milled lines between each groove, giving you more friction, the maximum amount allowed by the USGA rules. So, you get maximum spin even when opening the club face, meaning, you get excellent shot-shaping playability on top of its decent forgiveness. The face is bigger than usual for that extra sweet spot and forgiveness, but doesn’t look bulky. 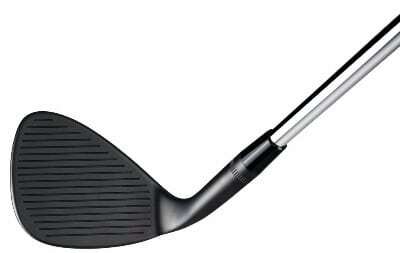 The rounded face looks pretty nice behind the ball, and the curved leading edge is manageable. The Cleveland CBX is available from 46° to 60° lofts for every 2-degree difference. While previous Cleveland wedges feature different bounce with different loft angle, that is not the case with the CBX, where the bounce type is similar throughout all options (with only slight differences in bounce angle). This usually results on digging on the higher lofts, but thanks to the wide sole, that is not the case. In fact, the wide sole in combination with the bounce offers increased forgiveness while eliminating the risk of digging. Which Loft And Shaft Is Best For You? The Cleveland CBX is available with both steel and graphite shafts. The stock steel shaft is True Temper Dynamic Gold 115 Wedge Shaft, while the stock graphite shaft is Cleveland’s Rotex Precision. The True Temper Dynamic Gold is very light for a steel shaft with only 115g of weight, giving you the extra flex while providing more stability. Players with decent swing speed of above 95 mph will benefit from a steel shaft for that added stability. For those with swing speed below that threshold, the Rotex precision graphite shaft can aid with even more flex and lightness. For loft angle, the higher the loft, the more elevation you have and the less distance it will produce. Since this guide is about the sand wedge, your options here are the 54,56, and 58-degree. The key in choosing your wedge is to maintain the gap between your irons and wedges, and so try to keep the lofts gap below 4 degrees between the lowest-lofted iron in your set and your first wedge. Then, if you want to add more wedges for versatility, choose the one with a 4-degree loft difference. 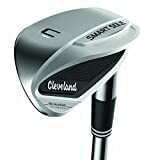 Cleveland’s Smart Sole wedges belong to the super game-improvement group, and are designed with the emphasis of an easier short game, especially chipping and bunker shots. 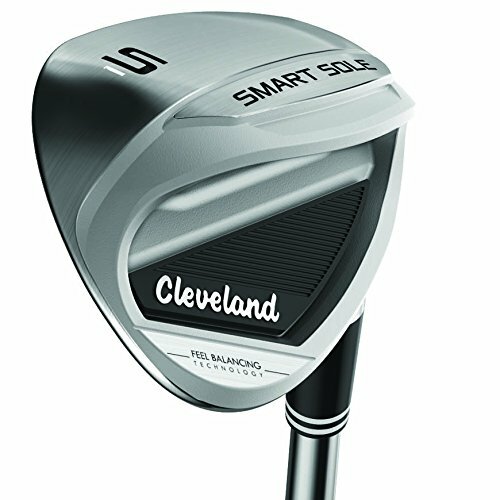 The Cleveland’s Smart Sole wedges is the third iteration, succeeding the highly popular Smart Sole 2.0 released in 2015. As with the Smart Sole 2.0, the 3.0 edition offers two different types: the Smart Sole 3.0 S and C.
The S stands for sand, while the C stands for chipping, and so we should highlight the key difference between the two: the C edition is designed for an easier chip shot while the S edition is your sand wedge for easier bunker shots. The Smart Sole 2.0 was highly regarded as one of, if not the best wedge available if you were looking for an easy fix for your chipping and/or bunker shots. So, what did Cleveland do to improve on the already excellent wedge? There are three main upgrades: the Feel Balancing Technology, Ultra Wide Three-Tiered Sole, and an optimized loft angle. The Feel Balancing Technology is also present in the Cleveland CBX wedge discussed above, and although the technologies are a little different, both the Cleveland CBX and Cleveland Smart Sole 3.0 feature the wider sole than your average wedge. The thing about wide sole is that the weight tends to be too heavy on the sole side, especially with the low center of gravity placement of today’s clubs. This is where the Feel Balancing Technology comes into play: Cleveland put the center of gravity almost dead-center in the club head, very close to where you hit the ball. This results in a more balanced feel while you get the forgiveness benefit of a wide sole, giving you the best of both worlds. The secret of the Smart Sole 3.0 is indeed the sole, and not only the width. The sole consists of three different tiers, and so the sole will hit the ground in three different stages. These tiers ‘correct’ the angle of impact while preventing digging, and so it makes it easier to get the best results, whether it’s chipping with the C version or bunker shots with the S version. With the C version, there’s another hidden secret. 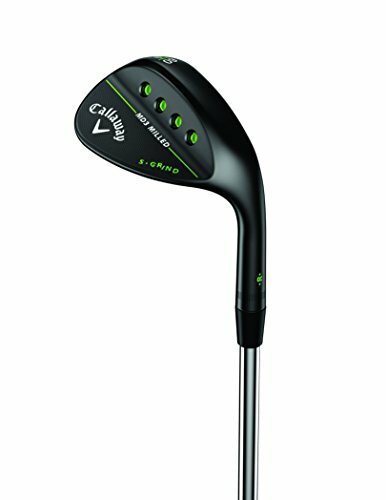 Coming with a 42-degree loft, it is more similar to a pitching wedge and even to a 9-iron than your standard lob wedge. Yet, the shaft is only 33.125 inches long, which is even shorter than most putters. Not only this shortness allows an easier time to feel and control the head, this forces you to put your hands a little bit forward. So, the Smart Sole 3.0 C will force you to a better posture and better alignment, allowing you to improve and ‘graduate’ to a better-player wedge. The S version comes with a relatively high 58-degree loft, which, together with the three-tier sole allows a very easy time to lift the ball out of the sand bunker. ​Cleveland’s test panel of 31 different golfers found that they are more likely to hit the ball out of the bunker by 50%, while being 30% more likely to land the ball on the green. An impressive statistic. With both versions, there is virtually no spin produced, and so you get a very limited shot shaping playability. Yet, that’s not what the clubs are designed for. The Cleveland Smart Sole 3.0 C and S are designed especially for high-handicappers (and mid-handicappers) struggling in getting consistent chips and bunker shots, and they are doing excellent jobs at those. Both the Smart Sole 3.0 C and S offer steel and graphite shaft options. The standard steel shaft is the Smart Sole Steel by Cleveland, while the standard graphite shaft is the Cleveland Wedge Flex. Most players of which the Smart Sole 3.0 is intended for will benefit from the graphite shaft, which is lighter and has more flex. It will assist those with insufficient swing speeds of below 90-95 mph. For players who have enough swing speed but that still struggle with consistency and accuracy, the steel shaft option will be the better choice. A steel shaft will help players with high swing speed to have more consistency, while also offering a better feedback. Before we begin the review, we should address that the Callaway Men's Mack Daddy 3 is available in three different versions to avoid confusion. The S-grind version, which is the focus of this review, is in the middle of the pack, providing the most versatility, and is virtually good for any course conditions and shot types. The W Grind has a wider sole, and so providing you with more bounce and forgiveness. The W-grind is great for softer sole conditions and shots with steeper attack angles including bunker shots. 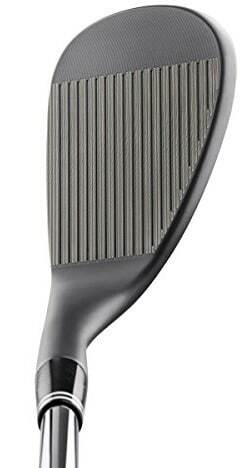 Last but not least, the S Grind has a narrower sole and hence less bounce. It is more suitable for firmer grounds especially around the greens. We chose the S Grind simply because it is the most versatile of the three, and has the most value. Yet, many things discussed on this review will also be relevant for both the C-Grind and W-Grind versions. The name ‘Mack Daddy’ comes from Phil Mickelson’s nickname for Callaway’s high-spin grooves a few years back, and Callaway used that name to create a new line of wedges characterized by, you guess it, that same grooves. 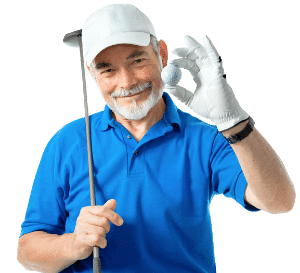 The grooves are progressive from the lob wedge to the sand wedge and to the pitching wedge: the higher lofts have more aggressive grooves to generate more spin. With the focus on spin, obviously the focus of the Mack Daddy wedges is all about shot-shaping features. The Callaway Mack Daddy 3 S comes in two different color options: the classic satin chrome finish and the black matte finish. Both versions look pretty good, so it’s down to a matter of preference, but the MD3 S Grind is by itself, an excellent looking club, especially thanks to the four holes drilled in the sole, which are given a neon lime-green finish. The four holes are not solely a cosmetic treatment, as they are there so that Callaway can remove some weight from the sole and move the center of gravity a little higher. The aim of this higher center of gravity is to keep the flight trajectory down, which will complement the very high spin of the aggressive grooves. Too add more in the looks department, the stock Lamkin UTX grip is also in the lime green color, matching the whole theme of the Mack Daddy 3. The secret to Mack Daddy 3’s performance is the design, which Callaway dubbed as ‘Advanced Shaping and Design’, lead by the legendary Roger Cleveland. The S Grind is designed by gathering data from Tour games, and the result is a very balanced wedge with a high toe profile and semi-straight leading edge. The result of this design, especially on the S-Grind version, is a well-balanced feel especially at the higher lofts. The spin is really high and you can easily control the trajectory. Whether you want a soft-landing lob shot or a penetrating one, you can easily deliver with the S Grind. Regarding sound and feel, the Mack Daddy 3 might not be as good as the previous Mack Daddy models, simply because it is now a milled wedge instead of forged. Yet, it is still pretty decent with excellent hit feedback. While the sound is a little muted, you get a pleasant, soft sound during impact. The Mack Daddy 3 is an excellent, versatile wedge especially for mid to low-handicappers. While it is not as forgiving as the Cleveland CBX or the very forgiving Smart Sole 3.0, the Mack Daddy 3 offers versatility and playability not offered by those wedges discussed above. The Mack Daddy 3 S-Grind is only available with steel shaft, and you can pick between 46, 48, 50, 52, 54, 56, 58, and 60-degree of loft angle. For a sand wedge, generally your option is between the 54, 56, and 58-degree. The key in picking your loft is to make sure that it is not too far apart with the longest iron in your bag. A difference in loft under 4-degree between your longest iron and lowest-lofted wedge is ideal. If you want to add more wedge, pick another one with a 4-degree loft difference. The stock steel shaft is the True Temper Dynamic Gold Steel, and you can only choose the ‘stiff’ flex with all the loft angle options, excepting with the 60-degree loft where you can choose the slightly more flexible ‘s300’ flex. The s300 flex will benefit players who need that extra swing for the high loft. We can all agree that for the wedge games, Phil Mickelson is among one of the best to grace the history of the game. His stop and drops, chips, and almost all of his wedge shots around the greens will amaze just about everyone. Many will say the secret of his wedge shots is his wedge itself, the 20-year+ old Ping Eye 2, which is very rare today, unfortunately. The Mack Daddy PM (PM stands for Phil Mickelson), is Callaway's attempt at recreating the Ping Eye 2 with modern touches. With Phil Mickelson and Roger Cleveland at the helm of its design, we can safely expect many great things from this wedge, so what's it all about? First things first, there are four different loft angles available for the Callaway Mack Daddy PM: 56,58, 60, and 64-degrees. All loft angle versions have 10-degrees of bounce angle, excepting the 56-degree loft, which have 13-degrees of bounce angle. You might notice that although the 60 and 64-degrees versions are better suited as lob wedges, they have a very high bounce angle, which isn't ideal for lob wedges. You can think of the 60 and 64-degrees version as specialty wedges, a sand wedge with very high loft, or a lob wedge that can really bounce. Here are some unique advantages you will get from the Mack Daddy PM-Grind sand wedge. The first thing you will notice from the Mack Daddy PM wedge is the shape, which is totally unique for today's standard. 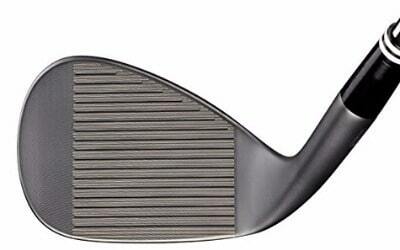 The wedge is based from the Ping Eye 2, and you will find many similarities, albeit modernized. The toe is very high and triangular, yet the leading edge is very rounded, creating an offset design. The face is basically covered with grooves from all sides, which is a good thing, and the center of gravity (CG) is moved backward to improve feel. The result of this unique shape is more spin, more consistent distance, and more versatility, which is our next point. The overall unique design and the wide sole allows a secondary bounce to an already excellent bounce angle, making it easier to do delicate chips and touch shots. There are 39% more groove area compared to other wedges, giving you more forgiveness, especially when you shot with an open face around the green. A unique bounce and loft angle combination, especially on the 60 and 64-degrees versions, will further improve its versatility. Simply put, the Mack Daddy PM just might be one of the most flexible and versatile sand wedges available today. The unique shape of the Mack Daddy PM, paired with its relatively high bounce angle, allows even more bounce when used on thick grass, muddy situations, and all kinds of sands. Combined with its high spin, great forgiveness from the grooves, and versatility, you can easily get the ball back to the green consistently. The unique combination of bounce with a shallow angle of attack will help those with steep attack habits, giving you more control and forgiveness to get out from tricky situations. The unique shape and weight might take some time getting used to. However, once you get into practice with the Mack Daddy PM wedge, you will realize how great of a feel this wedge actually provides. Although the stock swing weight is only D4, it feels heavier than it should, because of the unique shape and weight distribution. In turn, the Mack Daddy PM will allow better momentum as you hit the ball. The sound produced is a little bit muted and dull, with a relatively moderate feedback. Although it won't matter much for a lot of players, the sound is definitely not a reason to buy or to avoid this wedge. There is no doubt that the unique shape of the club head will need some time for players to get used to. The offset design might be a problem for some players, especially for tight fairway shots. Can you buy Phil Mickelson's short game with this Mack Daddy PM wedge? Yes! Well, almost. You can't expect to throw this club in the bag and get amazing results anytime, as the unique head shape will definitely need some practice time. It is especially good for bunker shots or to get out from thick roughs, of which the Mack Daddy PM is very easy to use and very accurate. However, it is a little difficult to use it on the fairways, as the offset design and shallow leading edge will make it harder to make clean contact. 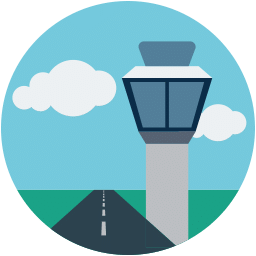 You might think that being a signature club, the price tag will be costly, but that's not actually the case. The verdict? 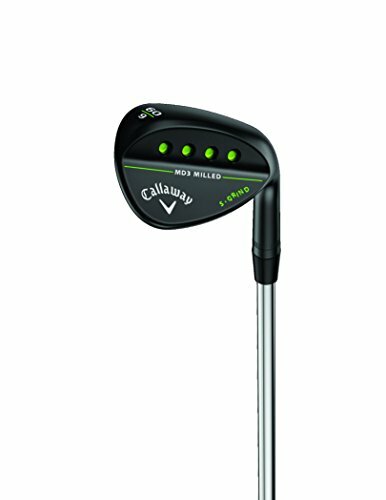 If you are willing to invest some practice time with the Callaway Mack Daddy PM wedge, it might just be one of the most versatile sand wedges around. The Cleveland 588 RTX series is massively successful, selling over 10 million clubs ever since its invention in 1988. The latest entry, the RTX-3, superseded the popular RTX 2.0, and of course, we can expect great things from this wedge. The RTX stands for Rotex face, which is the process to micro-mill the face to create more roughness between the grooves, which in turn, create more grip and forgiveness. You can choose a wide variety of loft angles from 48-degrees to 60-degrees, and the bounce angle is designated with the dots behind the clubface. If you are familiar with the RTX 2.0 model, the grind is significantly changed in the RTX 3, to what Cleveland dubbed as the V-Sole Grind. Here, the grind is far narrower than before, in fact, narrower that most of the wedges out there, allowing more versatility and easier time to go through thick turfs. Cleveland claimed that with the V-Sole, you will lose 23% less speed with every impact, which is definitely significant. For the sand wedges, with lofts from 54 to 60 degrees, the V-Sole is wider and dubbed the V-FG, which also comes with high, three dots bounce angle. One thing to also keep in mind is that the RTX-3 is a bladed wedge, which naturally will be less forgiving, as the sacrifice for giving more control and versatility. However, the rough Rotex face will compromise that forgiveness, and it is actually one of the easiest wedges to use through even the tightest lies. If you need more forgiveness, however, a cavity-back model is also available. The Center of Gravity (CG) is placed near the heel but is closer to the center compared to that of the RTX 2. As a result of this new approach, the RTX 3 feels more balanced and on-point, which can dramatically improve your accuracy. Compared to the Mack Daddy PM above, the RTX 3 has a lower natural flight trajectory. This will translate to a better control since you can have an easier time in judging distance. The spin it provides is also exceptional, so you can easily shape shots with the RTX 3. 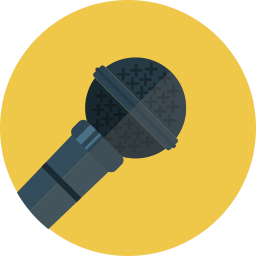 Here are some of the advantages of the RTX 3 over its competitors. The close to the center CG position, combined with its natural feel from the overall design, will produce a naturally lower flight than expected from most wedges. 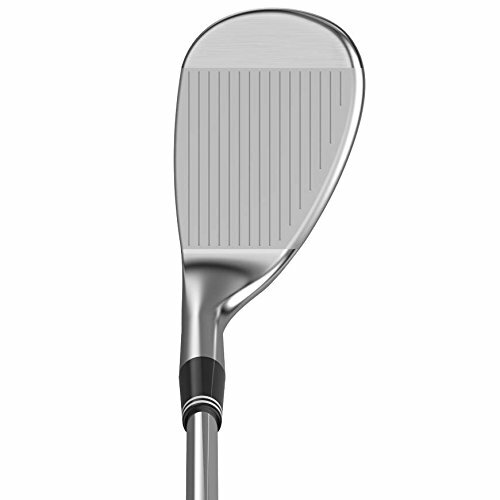 Yet, the Cleveland RTX 3 still provides a lot of spins for you to shot shape or to put backspin stop. 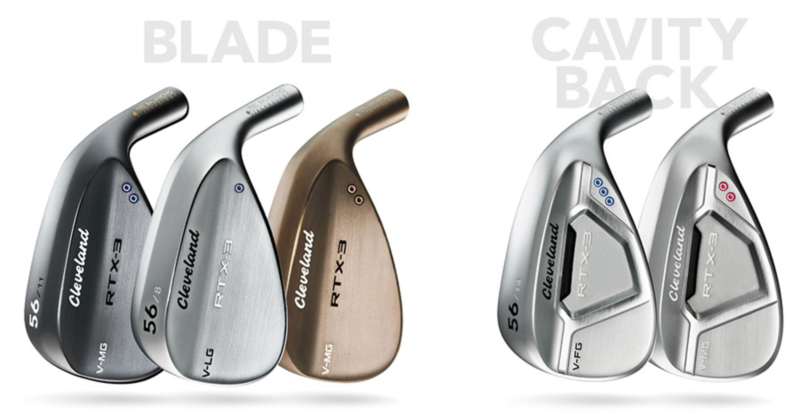 As the result, it is easier to judge and control distance with the Cleveland RTX 3, far improved from the RTX 2 and is among the best compared to other wedges in the market today. The Rotex face provides excellent feel, soft impact, yet with enough roughness thanks to the Rotex technology. 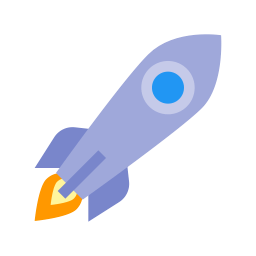 Will give you more than sufficient feedback anywhere you strike. The true highlight regarding the feel is when you swing the RTX 3 through the turf. More leading edge from the V-Sole design, along with the exceptional bounce angle will allow the wedge to smoothly glide through the tightest lies and turf, even if you mistime your swing so that you catch the ground before the ball. The great feel will help to give you more confidence as you make your chips and lobs. Regarding looks, the Cleveland RTX 3 is one of the better-looking wedges out there. A clean, classic muscle back design which will truly appeal to a lot of golfers. A little more rounded compared to the RTX 2, which, in our opinion, is an improvement. 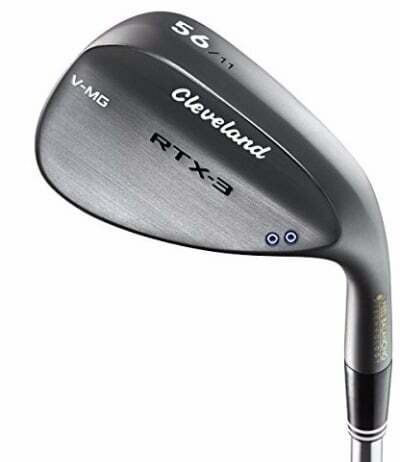 The Cleveland RTX 3 is also one of the better sounding wedges and can give you plenty of feedback by sound alone. Not saying that the RTX 3 is not versatile at all, but it is less aggressive compared to other modern wedges we can find in the market today, such as the Mack Daddy PM, which we have discussed above. The high-bounce (three dots) grind, in particular, is less versatile compared to the mid-bounce model. Although distance won't be the main focus for your wedge games, it will be a nice bonus to have. Simply put, the RTX 3 is not built with distance in mind. The distance is exceptionally consistent in windy situations, though. The verdict? As a bladed wedge, it is obvious that the Cleveland RTX 3 is designated for mid-high level players with consistent accuracy. The forgiveness it provides is decent enough, and there is also the cavity back model as an option. Regarding feel and control, the Cleveland RTX 3 is one of the most satisfying wedges today and will be satisfying for decently skilled players. The Mizuno S5 is Mizuno's answer for the modern demand for larger-profiled wedges. The S5 is the result of collaboration with Luke Donald, and we should say, it's a very satisfying forged wedge. The S5 has a longer and deeper face compared to its predecessor, the Mizuno MP-T5, which in turn, will give you more forgiveness. 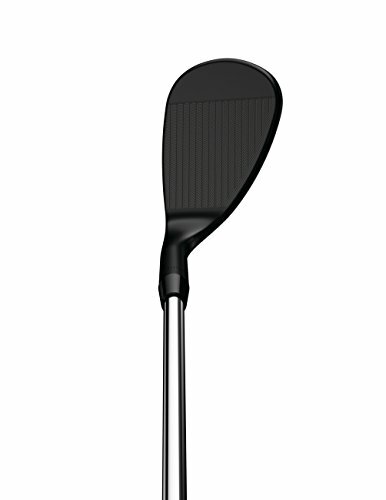 It frames the ball very well, making it an ideal wedge for low-to-mid handicap golfers. It will also appeal to more skilled golfers, thanks to it's classic, very soft Mizuno feel. It is forged from just a single billet of 1025 carbon steel. It will give a very soft feel, yet with excellent response and feedback. Also, it provides a lot of options regarding bounce and loft angle selections, providing six lofts options from 50-degrees to 60-degrees alone, with a 2-degrees gap. You can even ask Mizuno for a customized in-between loft and bounce angle of your choice. Adjustability and personalization are always a nice option to have. In the looks department, the blue ion finish is exceptional, although it's also available in white satin for more conservative golfers. The shape is rather unique, with what Mizuno dubbed the silhouette shape, somewhat of a hybrid between rounded and teardrop shape, common with Mizuno clubs of the past. It is of average size and average weight, with a rounded leading edge for easier swings through the thick turfs. Here are some of the key advantages of the Mizuno S5 compared to other wedges available today. Definitely the highlight of the Mizuno S5. 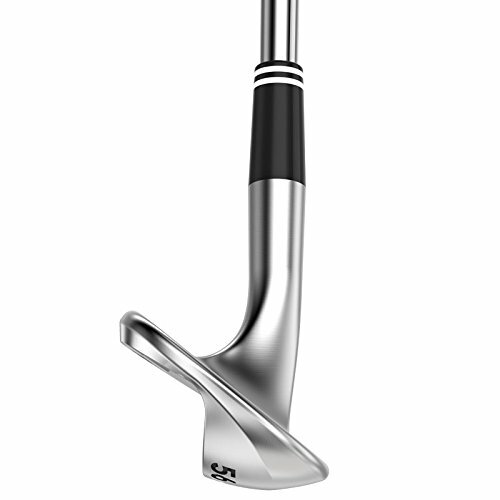 The long and deep face will allow more margin of error with every shot, paired with what Mizuno dubbed the Quad Cut CNC. The milled grooves technology allows the grooves to vary in width, depending on the loft to generate the right level of spin for more control. The lower lofts have a deeper and narrower golf, and in the case for the sand wedges, wider and shallower ones for easier chips and lobs. 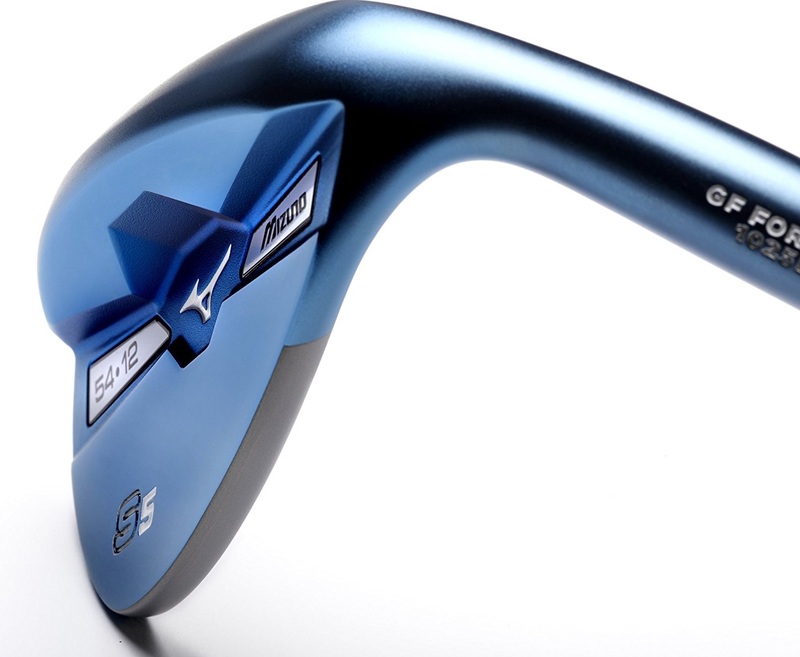 One of the better-looking wedges out there, especially the blue ion finish. The back of the club accentuates the thickness, which in turn give a very beautiful curve. The silhouette shape is a nice, modern looking upgrade from Mizuno's older models. If you are a player who cares about the fashion inside your golf bag, this might just be the right choice for you. Very soft feel, thanks to its fully forged clubhead, yet with exceptional feedback. Great grip and balance, as expected from forged heads. Also provides a nice, classic Mizuno sound. If you are looking for the great feel of a forged wedge, the Mizuno S5 is definitely a decent choice. It is a common knowledge that with more forgiveness, you will sacrifice control and shot-shaping abilities. Unfortunately, that fact is also true with the Mizuno S5. It's not really lacking in control, as it will still give you sufficient spin and feedback, but there are simply better wedges for that. Simply put, the Mizuno S5 is not built with the emphasis on distance. It provides a decent distance, but not exceptional. Less aggressive grind compared to other models available today. It's still decent, but again, there are better options. The versatility is actually better in the lower lofted models, which sadly is not the focus of our discussion today. For higher lofted models (sand and lob wedges), the versatility feels a little bit basic. The verdict? The Mizuno S5 is one of the most forgiving wedges available today. Regarding the higher loft for the sand wedges, the forgiveness is even more exceptional with wider and shallower grooves, allowing easier chip shots and lobs. With great forgiveness, usually there will be a sacrifice in both control and feel, but that's not really the case with the Mizuno S5. It still provides a great, very soft feel with excellent feedback. Yet, the same thing can't be said regarding control. Although it still provides a decent enough control and versatility, more aggressive players might want to look another way.